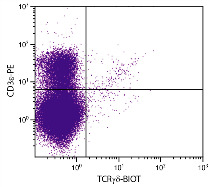 The αβ TCR is expressed on T lymphocytes of all mouse strains tested. 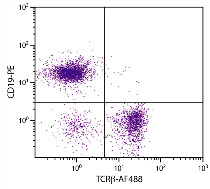 The H57-597 monoclonal antibody does not react with γδ TCR-bearing cells. 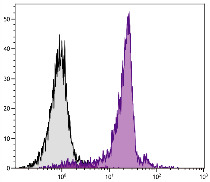 Plate-bound or soluble H57-597 activates αβ TCR-bearing T cells. 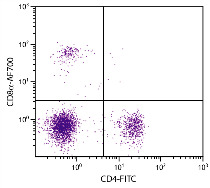 In vitro and in vivo, H57-597 can induce immature thymocytes to undergo apoptosis. 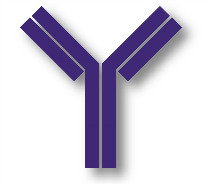 In vivo administration of H57-597 has been shown to deplete αβ TCR-bearing cells to near completion and prevent graft rejection. 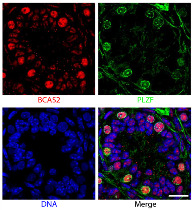 BALB/c mouse splenocytes were stained with Hamster Anti-Mouse TCRβ-AF488 (SB Cat. No. 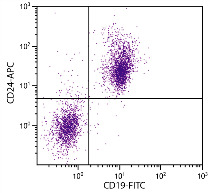 1785-30) and Rat Anti-Mouse CD19-PE (SB Cat. No. 1575-09).